Phil Samuelson accepted the Edward J. Bobit Professional Fleet Manager of the Year Award. Sherb Brown (left), vice president of Bobit Business Media, and Laura Jozwiak of Wheels Inc. presented Samuelson with the award. Photo courtesy of Lauren Sea. Phil Samuelson serves as the fleet and capital asset manager at USIC, a company he has been with for nearly 15 years. 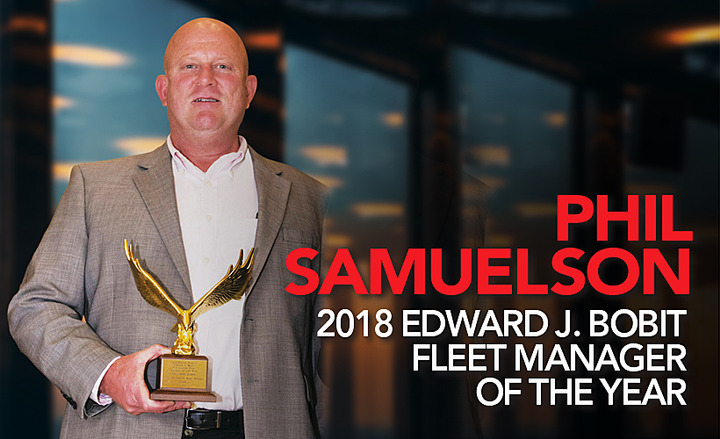 On Oct. 1, Samuelson was named the 2018 Edward J. Bobit Professional Fleet Manager of the Year, at the 2018 Automotive Fleet & Leasing Association’s annual conference for his service to the industry. The award was presented by Automotive Fleet magazine and sponsored by Wheels Inc. and AFLA. The Edward J. Bobit Professional Fleet Manager of the Year award is a nationally recognized award that is voted on by peers in the industry. The annual award recognizes a fleet manager who manages a fleet consisting of more than 100 vehicles, and who has showed unique abilities and accomplishments in his or her role. 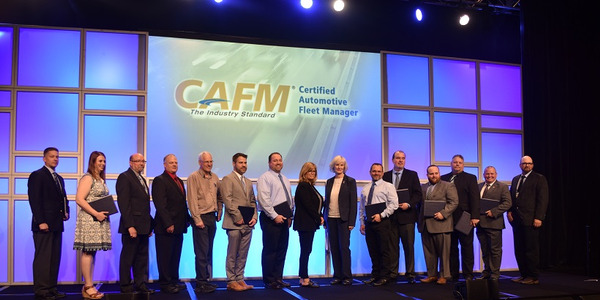 In the nearly three decades that Samuelson has served the industry, he has seen fleet evolve from a fledgling industry into what it is today. He has overseen and led initiatives at the companies he has worked for that have enhanced safety measures, reduced costs, and made operations more efficient. Samuelson takes pride in winning this award. He appreciates the recognition from his peers and also sees this recognition as acknowledgement that he’s been moving in the right direction. USIC is headquartered in the outskirts of Indianapolis. 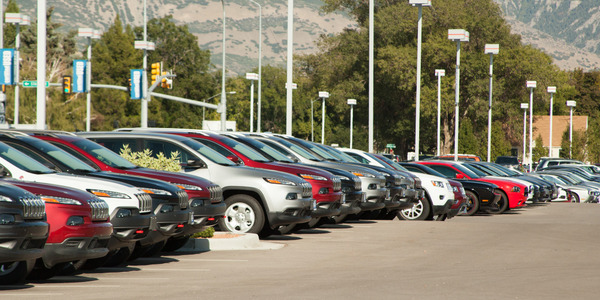 Its fleet of approximately 9,300 vehicles is dispersed throughout the United States and Canada. In his role, Samuelson is responsible for overseeing this massive fleet. When asked what a typical week managing this fleet looks like, he responded by saying that it’s difficult to generalize. There are certain constants in any given week. Things like reviewing fuel and maintenance expenditures for accuracy and possible fraudulent activities, ensuring vehicles and driver assignments remain correct from day to day, and ensuring proper billing and telematics reporting are in place are done every week. But, every day also brings new unexpected obstacles. One thing to note is that just five years ago, the fleet’s size was somewhere closer to 4,500. Through natural growth and acquisitions, the company has essentially doubled its fleet in four years. This rapid growth, he noted has brought growing pains along with it. This influx of drivers, and cyclical nature, has made safety a large part of Samuelson’s focus. drivers in need of safety training on a constant basis. This means that he, and his team, need to ensure that they’re providing proper training to each driver. One challenge, in terms of safety, for Samuelson and his team, is instilling a sense of balance to his drivers. The amount of tickets, or assignments, that his drivers complete is a direct correlation of how well they’re doing their job. However, driving safely and completing a lot of tickets don’t always go hand-in-hand. This is the balance that they try to teach their drivers. Samuelson and his team want their drivers to do their job well, but not at the expense of their safety. This is where USIC’s safety and telematics programs come into play. 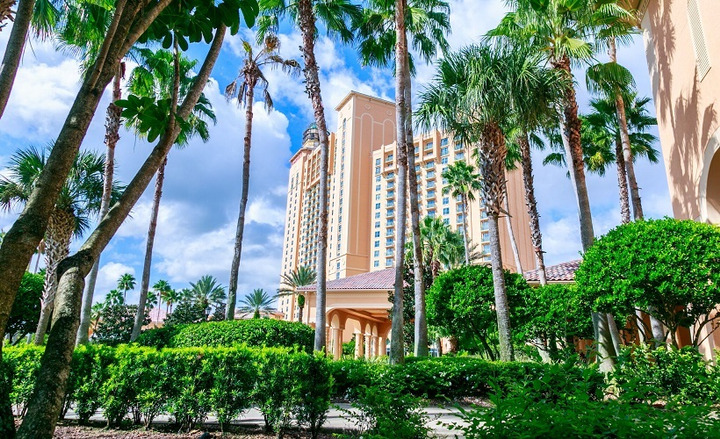 The 2018 Automotive Fleet & Leasing Association (AFLA) conference was held Oct. 1 to 3, at the JW Marriott Grande Lakes Hotel in Orlando, Fla. The data that the USIC team receives from its OEM partner — roughly 90% of his fleet is comprised of this OEMs vehicles’ — provides valuable insight that has helped curb the fleet’s accident rate. 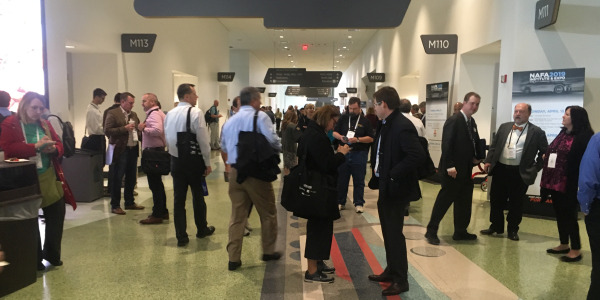 Pulling the data straight from the vehicles through FMC and OEM partners has also been a boon on an administrative level. The USIC team no longer has to manually install plug-in devices to the company’s national fleet of vehicles. “When you’re a fleet of our size, from one coast to the other, the install process of it and upkeep of install, and later returning devices, was a complete administrative nightmare. We did away with a lot of administration issues,” said Samuelson. 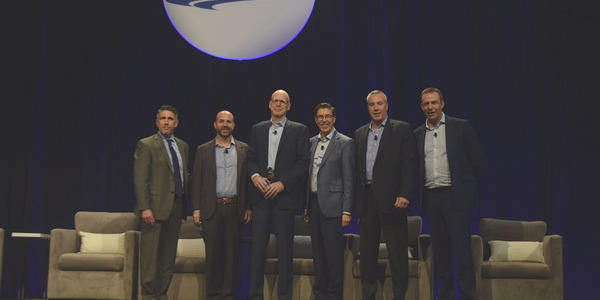 From a telematics perspective, USIC’s program, is helping the company’s flow of new drivers stay safer through better mapping, better routing, and better ways to use their vehicles. The USIC team and Samuelson use this data gathered by his company’s telematics program for friendly competition among company drivers. The telematics program gathers data on how every one of his drivers operate their vehicles. This data, along with a scorecard that USIC’s IT and EHS teams built is used to post everyone’s driver score that all drivers can see. This, Samuelson noted, is to encourage drivers to improve their scores, if they find themselves constantly toward the bottom of the lists. 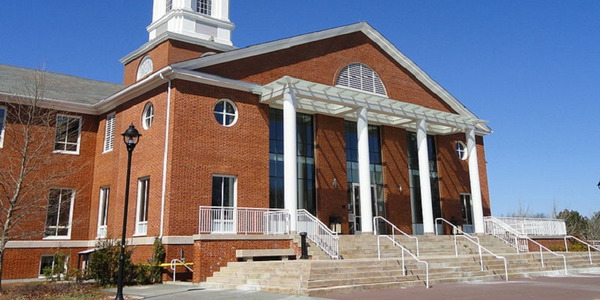 Samuelson has been in the industry for 28 years. When he started, fleet manager wasn’t even really a title. He didn’t enter the industry intentionally; managing fleet was added onto his actual job. But, as he kept doing it, he found that fleet involved things he was passionate about, specifically cars and customer service. One of the most valuable lessons he’s learned is to always listen to what others have to say. His drivers, specifically, have provided a lot of valuable insight, he added. Drivers are in fleet vehicles the most so they know what they need. That’s not to say he can always give his drivers exactly what they want, but their input definitely helps build a better vehicle that will help them perform better in the long run. This sometimes means spending a little more money up front. For this year, the Fleet Manager of the Year award has been renamed to the Edward J. Bobit Professional Fleet Manager of the Year award. The award was renamed to honor the founder of Bobit Business Media and one of the co-founders of AFLA. 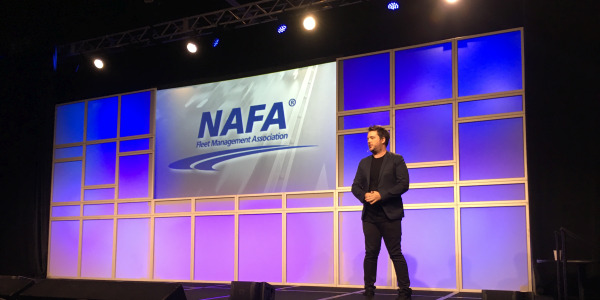 This annual award goes to a fleet manager who finds innovative ways to improve safety, efficiency, and productivity. 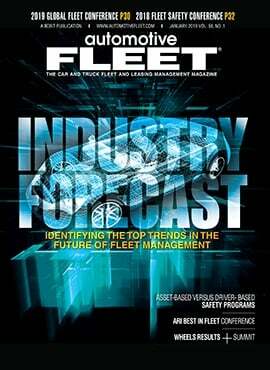 The future of commercial fleets will be highly dependent on the type of fleet, Samuelson said. Sales fleets, for example, may be sooner affected by things like autonomous vehicles. Meanwhile, it may take a little longer for service fleets to be affected by this technology. 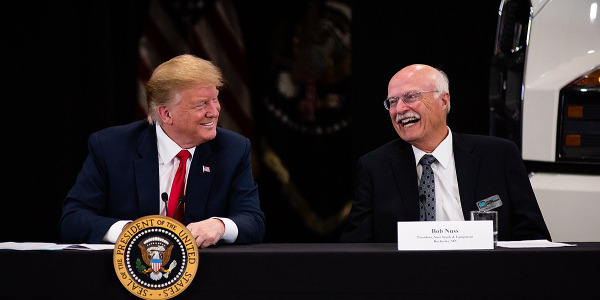 Regardless, Samuelson believes that autonomous vehicles are coming to fleets, and there’s going to be a lot of changes that they’ll bring along with them; one positive change will be better safety. 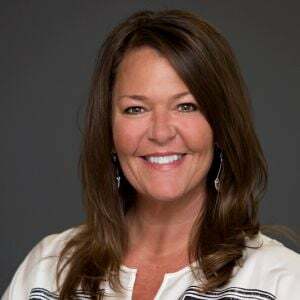 And, when autonomous vehicles do come to fleet, they’re also going to bring along with them, a change to the role of the fleet manager, Samuelson noted. Instead of just managing vehicles, managing all aspects of mobility will be within the fleet manager’s responsibilities, he added. Samuelson also sees a bigger adoption of alternative fuel vehicles, particularly electric vehicles, among fleets. 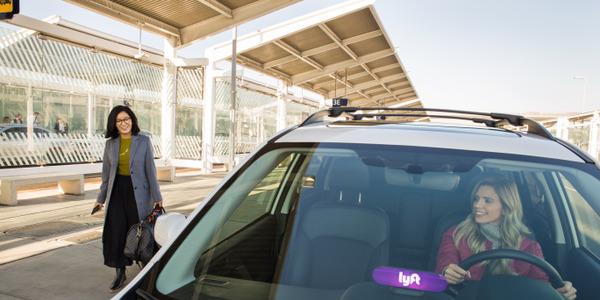 Since the majority of the vehicles in his fleet are light-duty pickups, he sees the widespread adoption of EVs in his fleet to be a little slower, as the technology makes its way into larger vehicles. However, there are functions of his company that don’t require pickups and would make better use of a smaller vehicle. For these functions, he is already looking into how he can implement electric vehicles into his fleet.